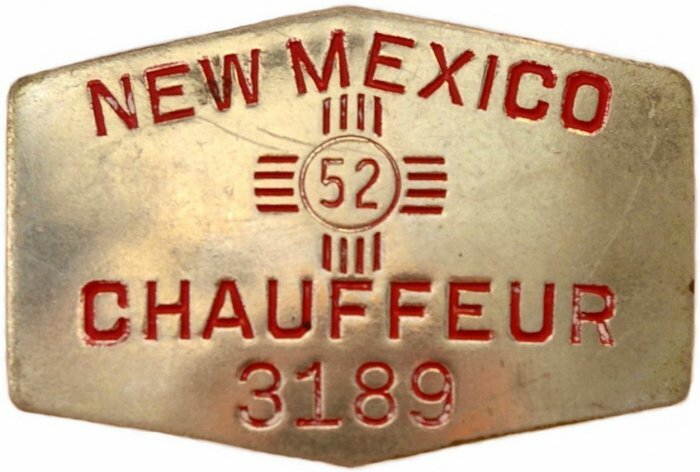 In past usage of the term a “chauffeur” was any person who drove a motor vehicle for hire, carrying persons or cargo. 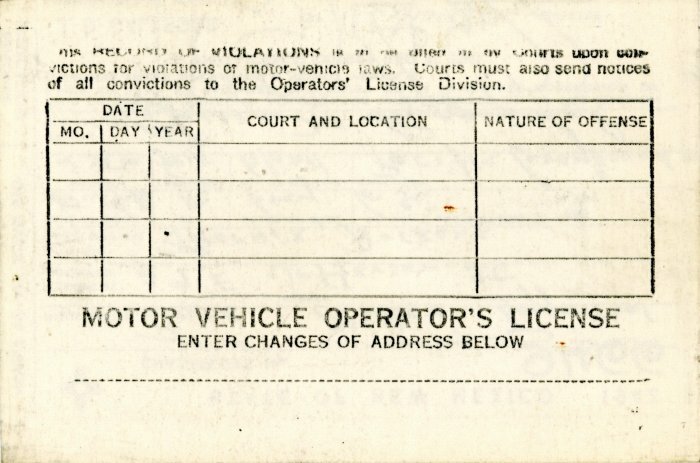 Examples included taxi drivers, bus drivers and commercial truck drivers. 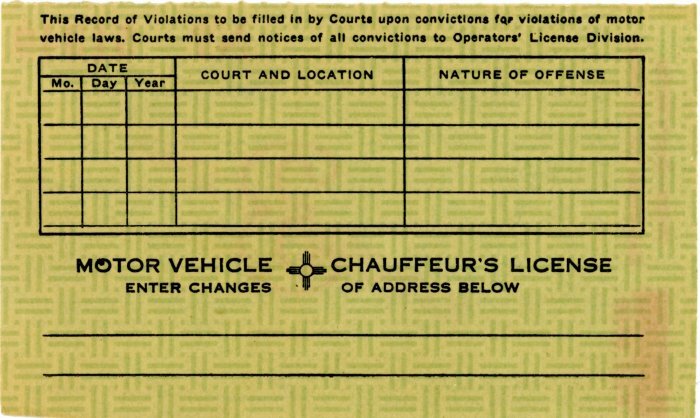 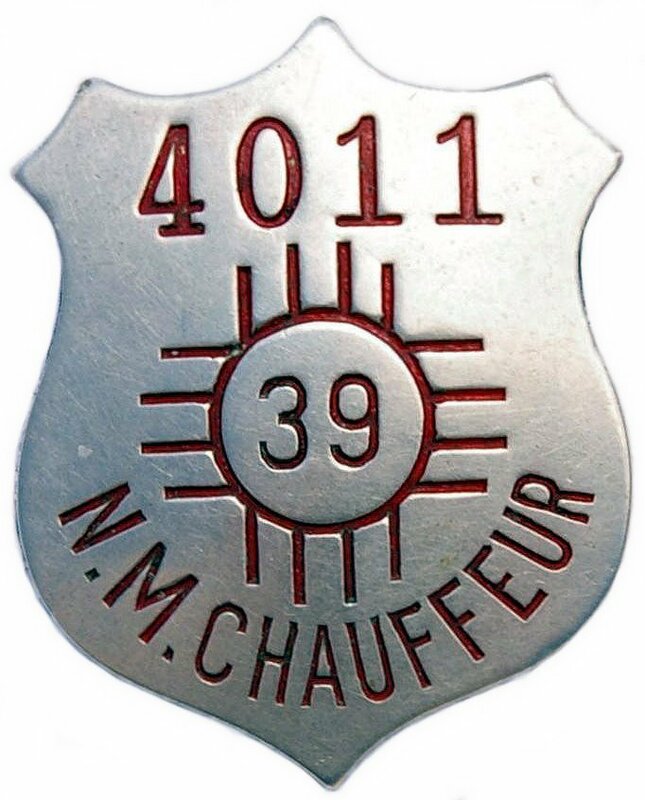 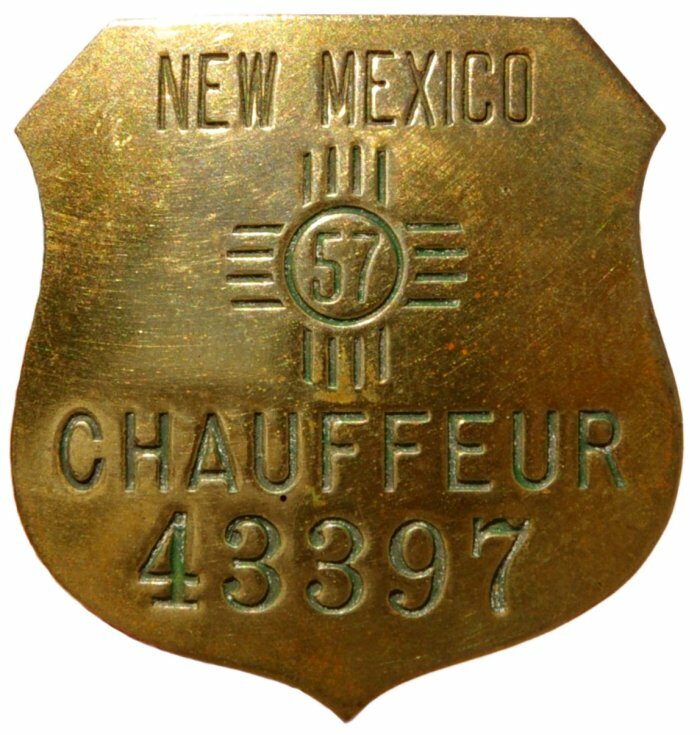 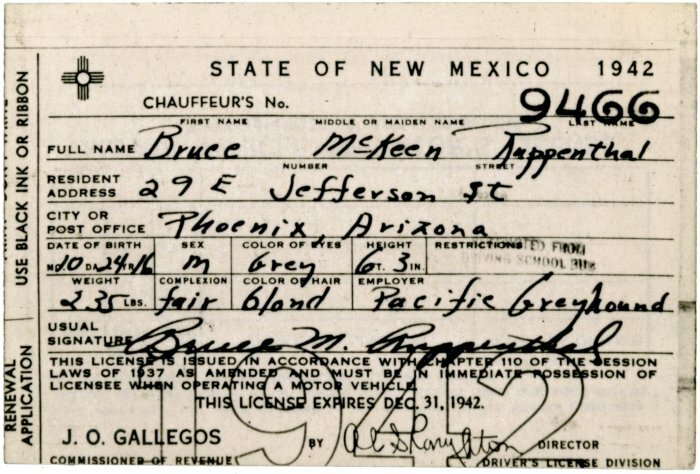 Beginning on January 1, 1938, these persons were required to obtain a chauffeur’s license, and with that license came a small metal badge bearing a serial number matching the corresponding number on the paper license. 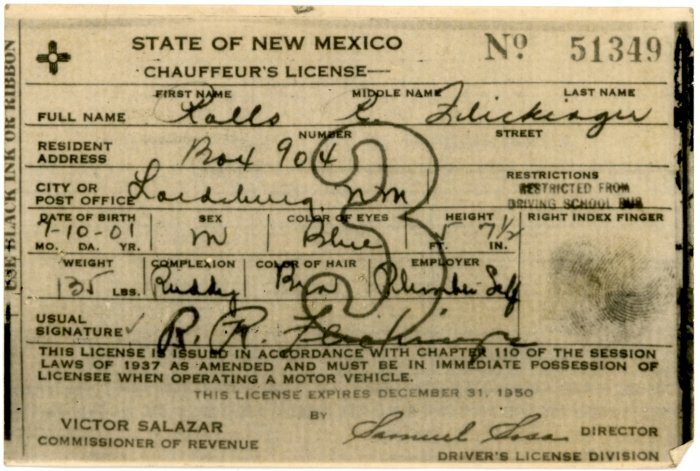 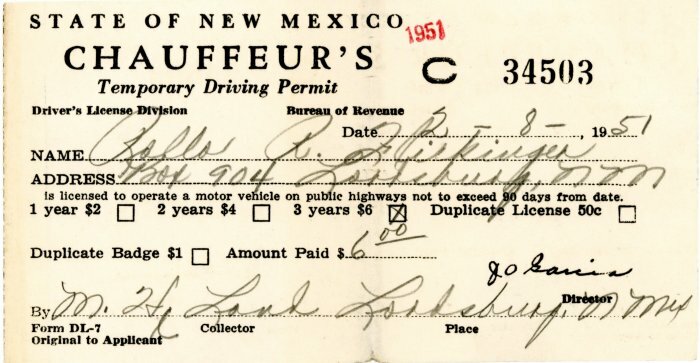 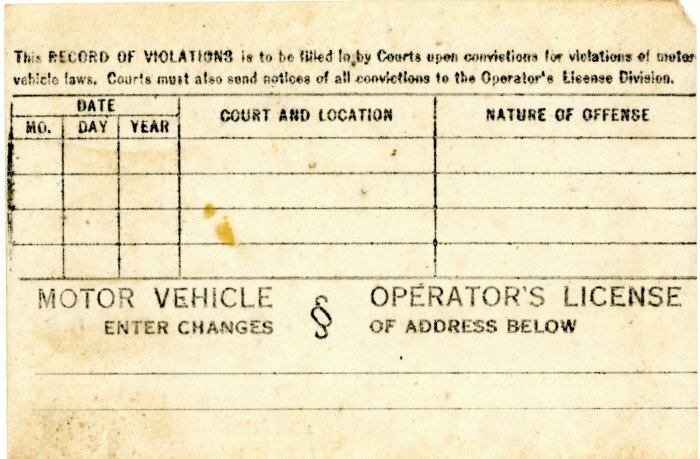 In 1945 legislation was passed providing for the optional purchase of 2-year and 3-year licenses. 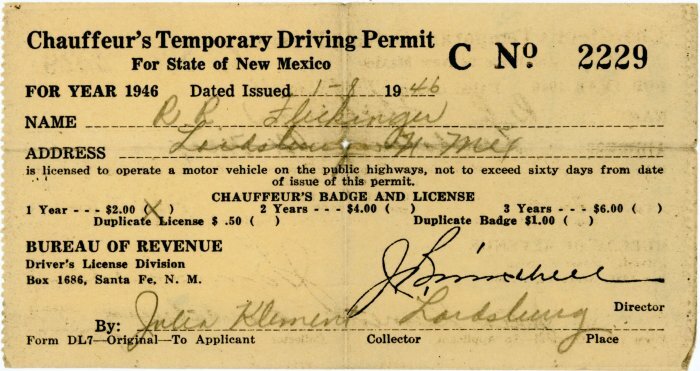 In some such instances multi-year badges were provided, whereas in other instances a badge was received which indicated the last year that the license was valid. 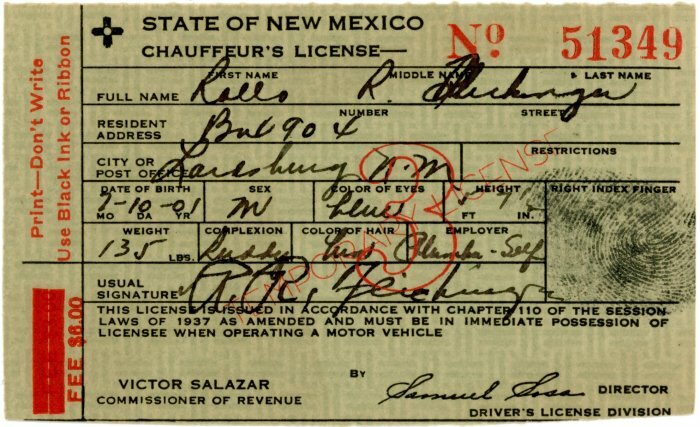 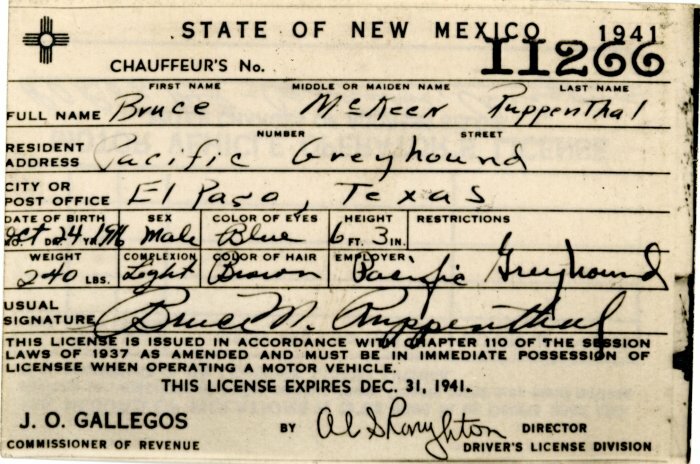 The badges and licenses were in use 1938 through 1957, and were ultimately superseded by the commercial driver’s license (CDL). 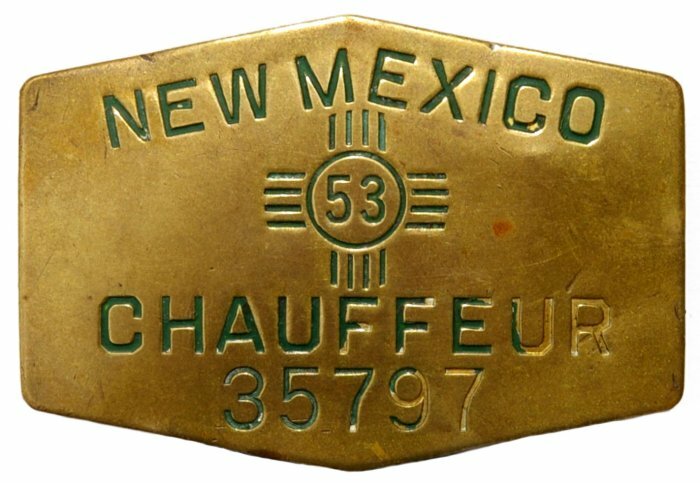 In keeping with the need to conserve metal during World War II, the 1944 and 1945 badges were made of laminated cardboard.